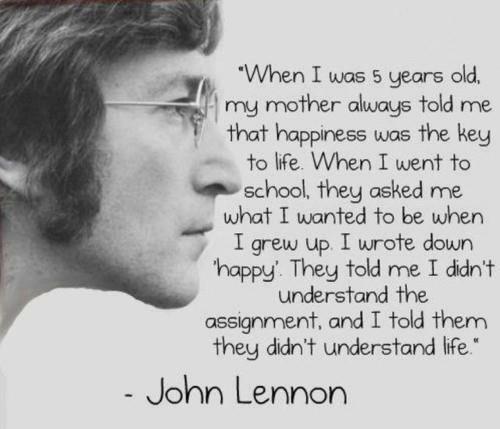 John Lennon Quote ~ Key to Happiness. . Wallpaper and background images in the True Writers club tagged: writers pictures art true writers. This literally gave me goosebumps. Holy cricket, that was inspirational. Lennon is an epic legend.